We're re-posting an excellent editorial on the negative impacts of Block Tuition written by journalist Autar Kaw in The Tampa Tribune from April 10, 2004. 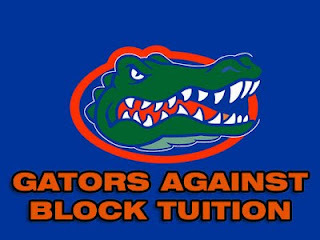 Although the editorial was written in response to a Block Tuition proposal at University of South Florida (USF), rather than UF, it's just as relevant to the Gator struggle against unfair tuition practices. You can read the original article here. When I go to the movies, I order a small Sprite. Without fail, the cashier says, “For only 25¢ more, you can get a medium.” I can afford the extra quarter, especially when a small Sprite costs three dollars. But, because I want to avoid taking a restroom break in the middle of a movie, I stick with my choice of a small Sprite. I would feel cheated if the only size available was large, even when I still can drink only a portion of it. That is what the block tuition proposal is exactly asking our state university students to do. Pay for 15 credit hours every semester no matter how many courses you can afford to take. More and more people from other nations, most of them the brightest in their class, come here to get an education. In spite of all the grumblings about low rankings in mathematics and science in standardized world tests, what is that still makes American university education the best and most sought after system in the world. It is the opportunity and the exposure- field trips, use of technology in the classroom, hands-on projects, laboratory experience, internships and co-operative education, integration of state-of-art research into the classroom, involvement in professional and community service, recreational activities, year round cultural, political, recreational and social events, innovative textbooks, attention to learning styles, accommodation of the disabled. Do I need to keep going? The concept of block tuition is contrary to what American education is all about. 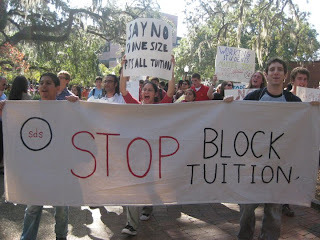 Block tuition is an invitation to cookie-cutter education, and such systems will take away the exposure and opportunities that higher education offers. Education will become accessible only to students who can afford the extra tuition. Students will be tempted to enroll for five courses, even when they know they will not have the time to study. A general rule of thumb is that for every credit hour, in addition to the hour spent attending class, a student should spend two hours studying. For a 15-credit hour load, this means a load of 45 hours per week. That is more hours than a regular full time employee works. Even students who are on scholarships may find losing future eligibility as 15 credit hours of coursework could lead to failing or low grades. A few state university presidents talk about the good-old days that when they were in college more students graduated on time. In fact, until mid 1970s, Florida charged block tuition but today the demographics of our students are different. More than half of USF students I know go to community colleges to get a low-cost education for the first two years. Their financial circumstances most probably do not improve while they are at USF. Many of these students are not even the traditional age. 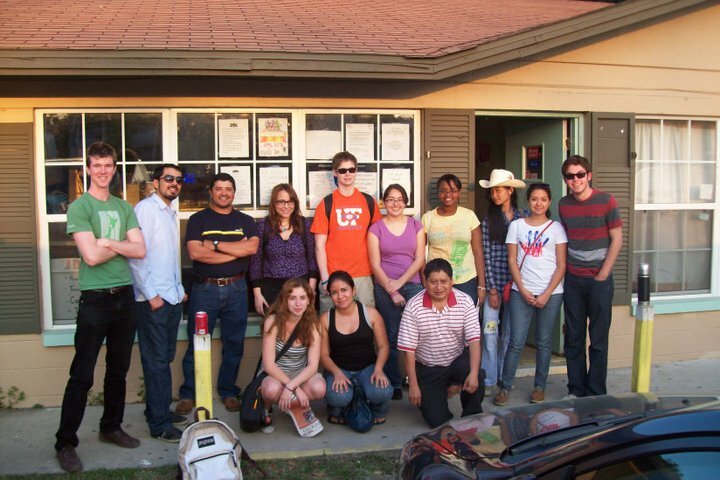 In a survey of over 100 students conducted of my class at USF in 2002-03, over 20% of the students were over 27 years of age. More than half were working 20 hours or more per week to make ends meet, and the same number was registered for 12 credit hours or less. Most of these students are getting little or no support from parents while 15% of the above groups are parents of young children themselves. 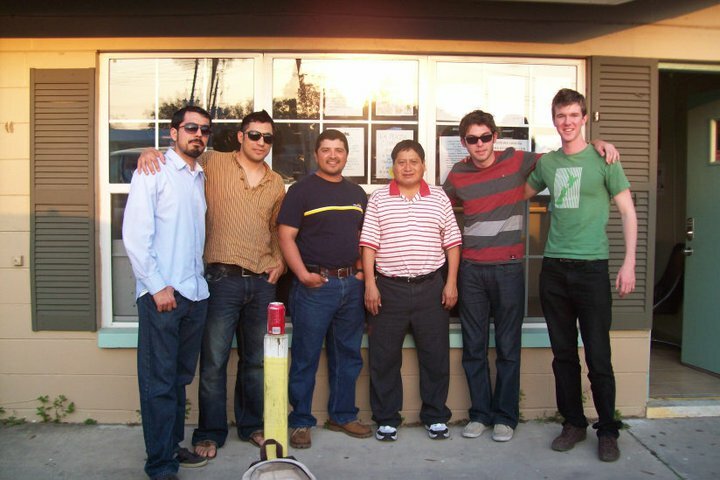 These students are generally changing or improving their careers, and they need to be encouraged. An obligation of a civilized society is to encourage diversity, and this group of nontraditional students deserves as much equal opportunity as any other group. Since we see demands of tuition hikes every year, we wonder what universities do with additional tuition? Tuition in Florida has been historically low, and the demands on universities are higher than ever. Universities need to keep up with rapid change in technology and demands of the workforce. The latter is resulting in offering of more degree programs such as biotechnology, occupational therapy, etc. Politicians do not help the cause either because they want new independent universities, and expensive programs like medical and law schools in their backyard. Since governmental financial aid packages have been shrinking, the burden of offering financial aid goes to the university. It would unconscionable, if part of the hike in tuition costs is not used to increase the level of financial aid to make tuition hikes transparent to low-income students. The low-income students are yet another group that is most ignored in affirmative action and diversity initiatives. In some cases, tuition hikes are used to compete for superstar researchers, who get exorbitant salaries and need expensive laboratory equipment while doing little undergraduate teaching. Also, upper level administration in most Florida universities is known to be top heavy. Now back to some more reasons that block tuition is a premature idea. 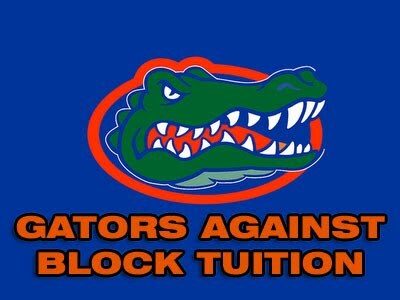 Block tuition will reduce the number of students participating in professional and community service. Being involved in these activities is as integral to one’s education as being in the classroom and making a passing grade. This is where students learn informally about teamwork with their peers, apply and synthesize their knowledge, and network with working professionals. For a strong professional workforce and for attracting high paying jobs to Florida, students need training in interdisciplinary subjects. This may require students to enroll in more courses than their degree requires. We should be encouraging such students. Students changing their major of study should not be penalized unless they abuse the privilege. Would you like somebody teaching your children if an education major finds out they absolutely hate being a teacher! Exploration is an integral part of the American education. Our state politicians suggest “they want to make education efficient and effective,” and “the state should not underwrite exploration.” First, efficient and effective can sometimes be contrary to each other. If a student comes to my office with a problem, I can simply hand him a copy of the solution. That is efficiency. If I take the time to guide him to find the answer himself, that is effectiveness. Second, if the state does not “underwrite exploration”, it will make the education system look more like that of the rest of the world, and that is a sure way to lose the very edge that makes our education system not just unique but one that graduates the most competitive and productive workforce in the world. Since 1976, “all students at USF with fewer than 60 semester hours of credit are required to earn at least 9 semester hours of credit prior to graduation by attendance during one or more summer semesters.” If the 15-credit hours block tuition proposal is imposed, then a student has enough credits to get his 120-credit hour degree in four academic (Fall and Spring semesters) years. You will have to drop the current summer residency requirement, and that itself would be a waste of physical and human resources of the university. The solution maybe to adopt a trimester system (Saturday Forum, January 17, 2004) creating its own problem of a shorter academic year and a four-month long summer semester. Faculty members, who are on academic year contract, conduct most of their research during summer. 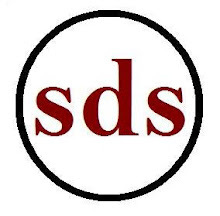 This means that they will have to find more local research or teaching opportunities in summer, as federal agencies do not allow support of faculty salaries of more than two months, no matter how many federal grants one has. Just like marriage and family, a university is an institution and not a business. You do not penalize its members because it is not run like a business. Such action is reserved only if the members break its covenant. If a university wants to be a business, then a university needs to act like a business. 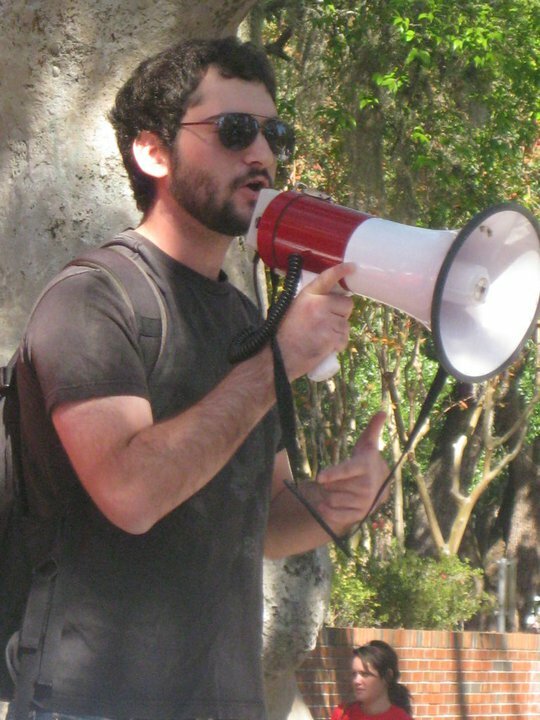 As a business, a university should eradicate degree and athletic programs that are not profitable, should not ask anyone for charitable contributions, participate only in beneficial volunteer activities, make as few accommodations as required by the law to the disabled, play commercials after every eight minutes of a class period, and only allow scholarly activities that generate profit. If we adopt these business principles, just imagine what a fast food version of a university we will become. “Would you like fries with that?” would be the only question left unasked.